This .44 Special ammunition from Hornady delivers excellent close-range performance against game. 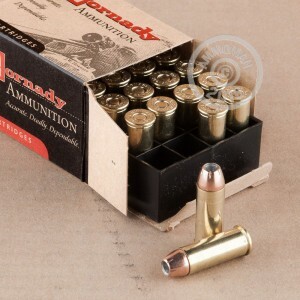 Each round in this box of 20 fires a 180 grain version of the Hornady XTP jacketed hollow point bullet at a muzzle velocity of 1,000 feet per second. The Hornady XTP bullet is known for its superb penetration and delivers excellent performance for hunting or self-defense applications. 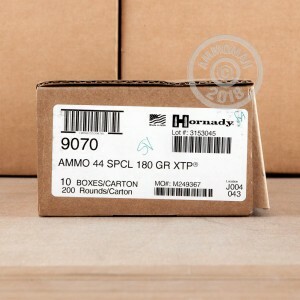 AmmoMan.com is your source for high quality ammo at reasonable prices. Place an order for $99 or more to get free shipping! Love the 44 special ammo,great product,fast service,thanks guys.